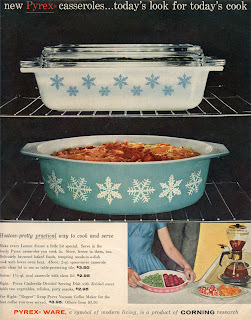 All I can say is go look at this auction's ending price.... for this wonderful piece of turquoise blue Pyrex with the white sunflower. I have not seen this pattern before... can anyone ID it for me??? Holy Cow, that ending price is crazy! I had been watching the auction for the last couple of days. And thought when the price hit 100.00 was huge. I was stunned to see it get a lot higher than a hundred dollars. I bet there is a seller in PA wondering why the rest of her Pyrex didn't go as high! LOL!